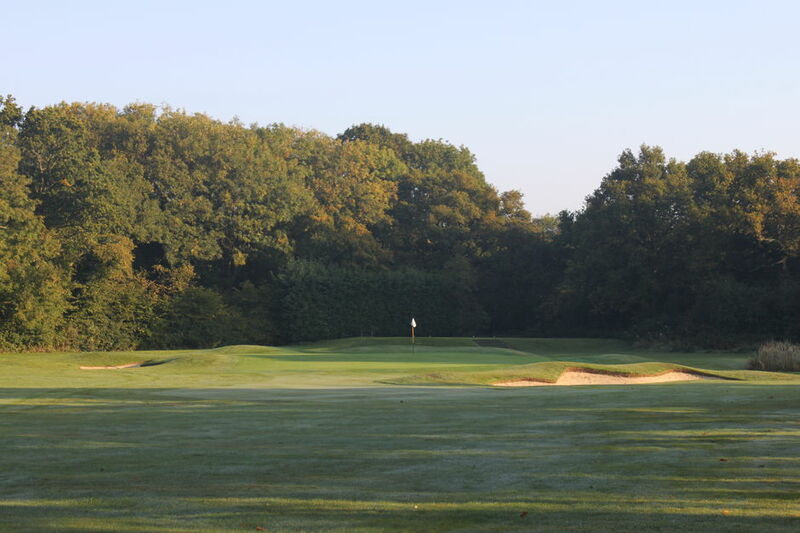 8 :: Gerrards Cross Golf Club is considered one of the most attractive courses in South Buckinghamshire. Kindly sponsored by cbe Solutions. 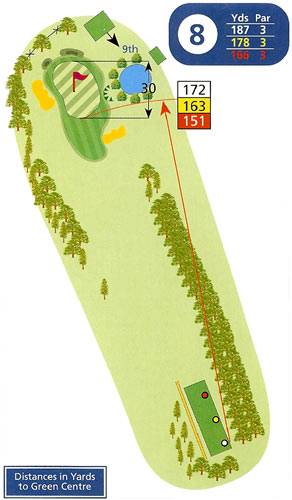 A fairly straight forward par 3, however the good-sized tiered green is well protected by a bunker and trees on the left and a bunker and pond to the right. 2019 © Copyright Gerrards Cross Golf Club. All rights reserved.